How to watch Barfi! (2012) on Netflix Canada! 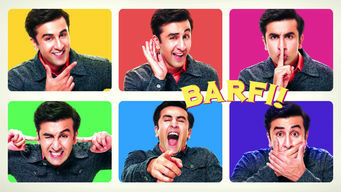 Yes, Barfi! is now available on Canadian Netflix. It arrived for online streaming on November 8, 2018. We'll keep checking Netflix Canada for Barfi!, and this page will be updated with any changes. Years after rejecting Barfii, a hearing and speech impaired young man, for a more "appropriate" suitor, Shruti finds herself falling for him. He's charming, loyal, deaf and speech-impaired. Two women adore him. This love triangle knows no bounds.